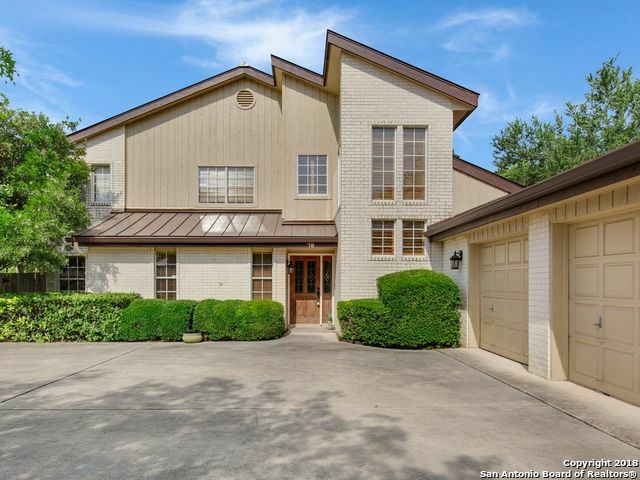 All OAKWELL FARMS homes currently listed for sale in San Antonio as of 04/22/2019 are shown below. You can change the search criteria at any time by pressing the 'Change Search' button below. "Beautiful custom home designed by architect Charles Schubert in prestigious Oakwell Farms Estate. Come & enjoy the heated pool and hot tub. Chef's dream kitchen w/Northland dual refrigerator/freezer, 2 warming drawers, 2 dishwashers. Master w/his and her walk-in closets. Extra large dining rooms, built-in home theater, office spaces wired for internet, sprinkler system w/drip irrigation, water softener, closed-circuit camera & security system, 2 sided gas fireplaces, & radiant barrier." 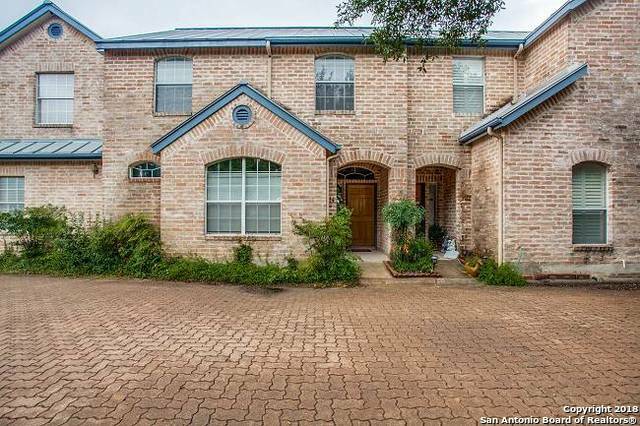 "Beautiful updated traditional 4 bedroom brick home. Sellers have added a magnificent indoor hot tub and a separate 2 car garage. The home is in a gated community and adjoins the club house with swimming pool, tennis courts and jogging trails. Updated kitchen has Viking range and stainless steel appliances and large Marble island. Master bedroom is down with fireplace & massive closet. Secondary bedrooms up. Two living areas, beautiful hardwood floors, entry hall, office, balcony, third floor fle"
"Beautiful 4 bedroom, 3-1/2 bath home on a large cul-de-sac lot. Updates include hardwood floors down, granite counter tops in kitchen and bathrooms, and stainless steel appliances. Spacious master bedroom down, all other bedrooms up. Island kitchen with 42 cabinets and small desk area. Small living room down could be used as a small study or music room. Main study is upstairs next to the gameroom and has multiple book shelves. Cul-de-sac lot with nice backyard. 3 car side entry garage." "This stunning 2-story home equipped with 3-car garage, metal roof, and wrap-around backyard has a true feeling of home. Vaulted ceilings bring in natural light and warmth to your gathering space. With two separate wet bars, dual master bedrooms, over sized bathrooms, multiple covered patios and a private balcony - this home could be your private paradise. Come experience this serene space for yourself." "It's all about location! Extensively renovated with a casual elegance. One story home w/no steps. Spacious inviting floor plan/updated flooring/abundance of windows/fireplace/and sparkling in ground pool. Brilliant chef's kitchen/granite counters/deco tile backsplash/stainless appliances/gas cooking. 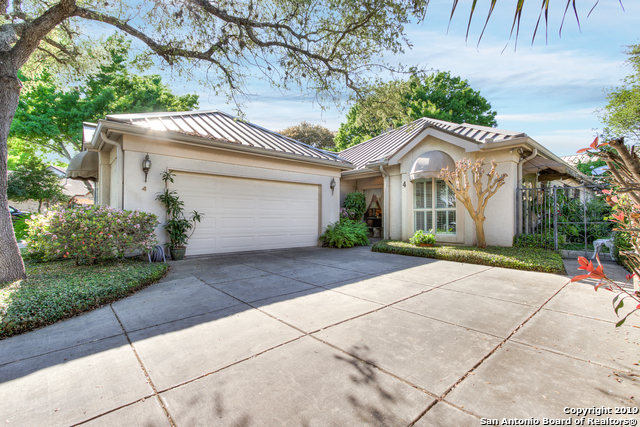 Luxurious master w/sitting area/contemporary bath/granite counters/walk-in shower/huge closet. Covered patio space for entertaining/privacy for relaxing. Newer concrete roof 2016." "Beautifully updated home, with acacia hand scraped floors, amazon river stone counter tops, generous light throughout home, outdoor patio, turn key living with little maintenance inside and out. This house has been well maintained, ready for the perfect new buyer to enjoy!NEW ROOF, NEW HAVAC, GE Profile Appliances including warming drawer, new hot water heaters." "Magnificent home in prestigious Oakwell Farms with Guard at gate. Lovely heated pool & hot tub w/lush landscaping & pergola to sit under and enjoy your privacy. Chefs will impress in this beautiful kitchen w/vaulted beaded board ceilings, brick wall surrounding built in oven & microwave, huge granite island, open shelving & views of pool. Beautiful wood floors thru out except wet areas (marble & tile)...no carpet Cedar closet, downstairs master retreat...a splendor of amenities! Paradise foun"
"Lovely garden home. Two living areas. African walnut flooring, carpeted bedrooms, Venetian crystal dining chandelier, vintage stained glass windows, skylights, wet bar, screened sun porch with shades, outdoor deck with built-in grill and sink, remote controlled gated driveway, metal roof, ceiling fans, large safe cedar closet with controlled access, master with large closet-lots of storage! Attached over sized two car garage, work bench and built-in shelves." 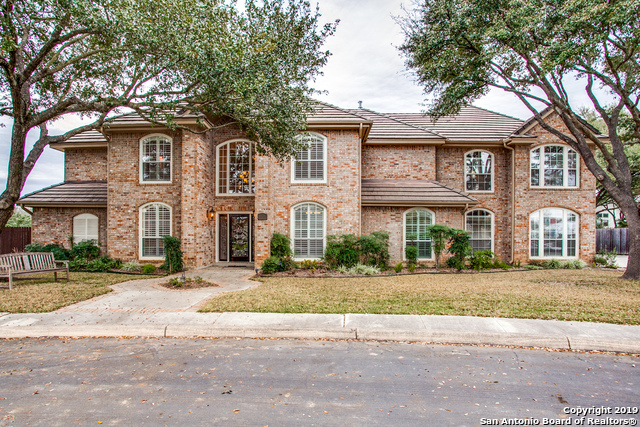 "*** WoW*** What a little gem located in the desired Oakwell Farms neighborhood. 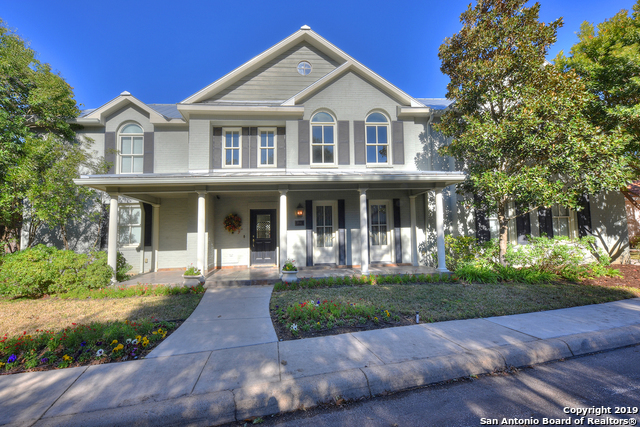 Entryway is beautifully landscaped and this home is move in ready with all new appliances. Hard wood floors and tile throughout this high ceiling one story. Tucked away in a cul de sac this house, boasts gorgeous views of the scenic and private walking trails." 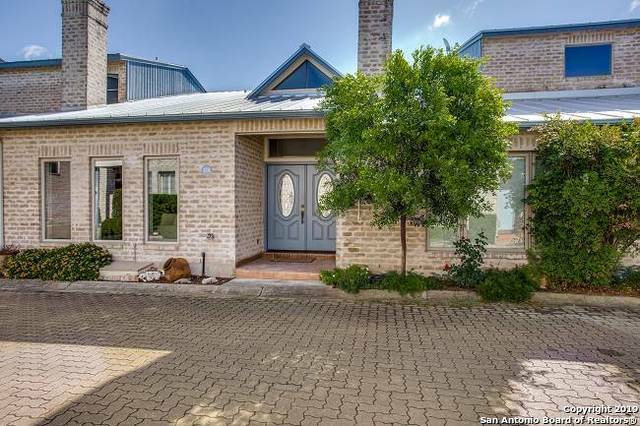 "Lock and leave, move in ready home with an attached two car garage. Hardwood and tile floors, master down, great storage, secondary bedroom up. Granite counters in kitchen, plantation shutters, high ceilings, kitchen and master open to back patio. Living room has a fireplace and built-ins and opens to the formal dining room and study. Laundry in a closet off the breakfast room." "Fee simple town home with the master bedroom down! Nice open floor plan with a fireplace in the living room. Additional two bedrooms and a bath up. The other room is ideal for storage or could be finished for an office or 4th bedroom. The two car garage is attached and has a rear entry. Amenities include walking trails, tennis courts, pool and clubhouse. 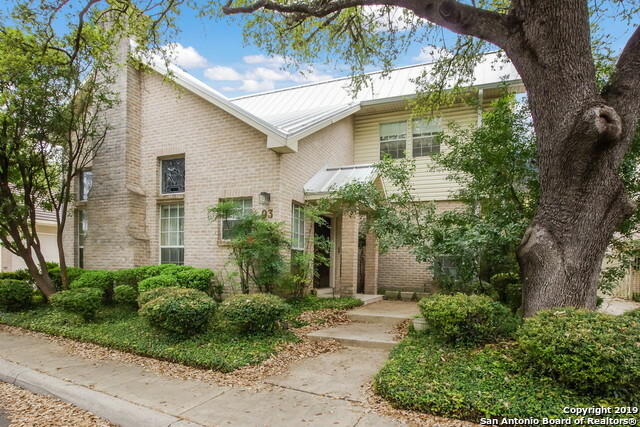 Convenient to the airport, Loop 410 and I-35. New roof to be installed second week in April."